Euro Dementia 2019 organizing committee are esteemed to invite in upcoming "12th World Congress on Dementia and Alzheimer Rehabilitation’’ scheduled during April 11-12, 2019 in Stockholm, Sweden. With honour we welcome you to join the congress which is mainly based on the theme ‘’Different innovative approaches to treat mental disorder diseases specially Dementia & Alzheimer’s disease and their rehabilitation’’. European conferences anticipates more than 500 participants around the globe to experience thought provoking keynote lectures, oral & poster presentations. This year conference will offer ample opportunities for all stakeholders working on Dementia, Alzheimer’s and neurologic disorder to expose their research work. Dementia 2019 is organizing an outstanding scientific exhibition/program and anticipates the world's leading neurologists, health professionals involved in the profession and practice of neuroscience. The neurological disorder event will also reflect interest of specialists in the clinical research on Dementia rehabilitation. This dementia congress is for people to take part and gain a better understanding of such diseases, to access treatment as well as information and advice. This is an effort to make possible interactions among world leading scientists, research scholars, professionals, young researchers, principal investigators, experts and researchers working on brain from both academia and health care industry, business delegates, scientists and students from different parts of the world to exchange their knowledge and conduct dementia symposia, show experiments with new innovative techniques that disseminate information about clinical tradition, best practices, skills and knowledge in the field of neuroscience.This event will provide an international forum for the dissemination of original research results, new ideas and practical development experiences all over the globe. 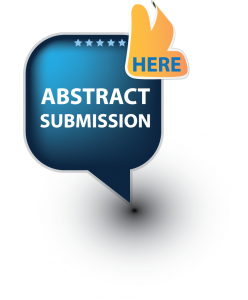 In Dementia and Alzheimer’s rehabilitation 2019 conference, international symposiums, B2B meetings, international workshops will also be organized to discuss the specific topics in the field of psychiatric disorder and mental health. Within this splendid setting, we plan to deliver a conference that will exceed your expectations. Our event aims to makesociety dementia feel safe and to create a familiar environment for them. During this year’s conference, we hope that you will seize the opportunity to rekindle on-going connections and spark new ones with your colleagues from around the globe. Dementia Rehabilitation describes a set of symptoms include memory loss and difficulties with thinking or reasoning that reduce a person ability to perform everyday activities. Dementia is mainly caused when the brain is damaged by diseases, such as Alzheimer’s disease or a series of strokes. This disease mainly affects people over the age of 65 and the likelihood of developing dementia increases significantly with age. However, dementia can affect younger people too. Dementia is not a specific disease. It's an overall term that describes a wide range of symptoms associated with a decline in memory or other thinking skills severe enough to reduce a person's ability to perform everyday activities. Alzheimer's disease. Vascular dementia, which occurs after a stroke, is the second most common dementia type. Alzheimer's is the most common form of dementia, a general term for memory loss and other cognitive abilities serious enough to interfere with daily life. Alzheimer's disease accounts for 60 to 80 percent of dementia cases. Alzheimer's is the most common form of dementia, a general term for memory loss and other cognitive abilities serious enough to interfere with daily life. Alzheimer's disease accounts for 60 to 80 percent of dementia cases. Alzheimer's is not a normal part of aging. Aging: Not being able to remember details of a conversation or event that took place a year ago, Not being able to remember the name of an acquaintance, Forgetting things and events occasionally, Occasionally have difficulty finding words, You are worried about your memory but your relatives are not.. The animal models of dementia and Alzheimer's disease for pre-clinical testing and clinical translation. Dementia is a clinical syndrome with abnormal degree of memory loss and impaired ability to recall events from the past often characterized by Alzheimer's disease. People with vascular dementia have different mental element shortfalls that incorporate every memory hindrance, that influences the adaptability to discover new data or review data already learned, and one or extra of the ensuing side effects apraxia, agnosia, or official brokenness to such an extent that the mental element shortages adversely affect social or action working with a major decrease in past abilities. Early discovery and exact analysis are critical, as vascular dementia is at any rate halfway preventable. Ischemic changes in the cerebrum are irreversible, however the patient with vascular dementia can exhibit times of solidness or even gentle change. Since stroke is a basic piece of vascular dementia, the objective is to forestall new strokes. This is endeavored through decrease of stroke chance components, for example, hypertension, high blood lipid levels, atrial fibrillation, or diabetes mellitus. For conference attendance and participation only Business Visa should be applied. Contact your nearest travel agent/visa information center/ Sweden Embassy for the correct application form. All visas for visiting / Sweden shall be processed by respective authorities only upon submission of proper documents through proper channel. ‘’9th International Conference on Dementia and Alzheimer's rehabilitation’’ was organized during October 16-18, 2017 at the venue The Holiday Inn Aurelia in Rome, Italy. With the support and contribution of the Organizing Committee members, we successfully hosted the event at the conference venue. Firstly we must thank you for trusting us and participating Dementia 2017, a global platform to discuss various important aspects of neurological disorders and mental disorders. There are infinite reasons to extend our gratitude to you for making the conference outstanding one. We couldn't have done it without your continuous support and believe towards our organization, which mutually made to achieve Alzheimer’s rehabilitation congress 2017 a new heights in the field of mental health. The conference was organized around the theme “An Insight into Advanced Research and Diagnostic Approaches in Alzheimer’s Disease and Dementia”. The event implanted a firm relation of upcoming strategies in the field of Autism with the scientific community. The conceptual and applicable knowledge shared, will also foster organizational collaborations to nurture scientific accelerations. The conference witnessed an amalgamation of peerless speakers, keynote speakers, well-known researchers and delegates who enlightened the crowd with their enviable research knowledge and on various alluring topics related to the field of dementia and Alzheimer’s disease through their fabulous presentations at the podium of Dementia 2017.